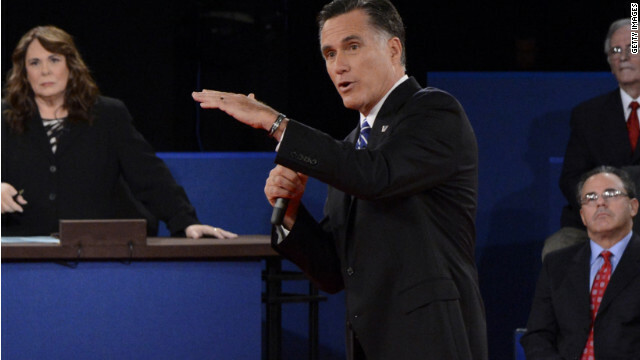 US: Does Romney ‘get’ women who work? Are Women Voters Abandoning Obama? Does Romney ‘get’ women who work? CNN When Mitt Romney asked his staff why all the applicants for cabinet positions seemed to be men, as he recounted in the presidential debate Tuesday night, he was apparently told that only men had “the qualifications.” That is obviously not true. Obama, Romney Wage War for Women HispanicBusiness.com Polls suggest Romney has an opening, and he’s trying to cast himself as a reasonable, moderate leader able to fix a sluggish economy that has hit women particularly hard. Democrats counter by reminding women that Obama has aggressively championed . Obama, Romney wage war for women Bradenton Herald To win the White House, Democrats need to maintain their recent edge with women, particularly in an election that promises to be close. In every White House race since 1980, the Democratic candidate has done significantly better with women than men.